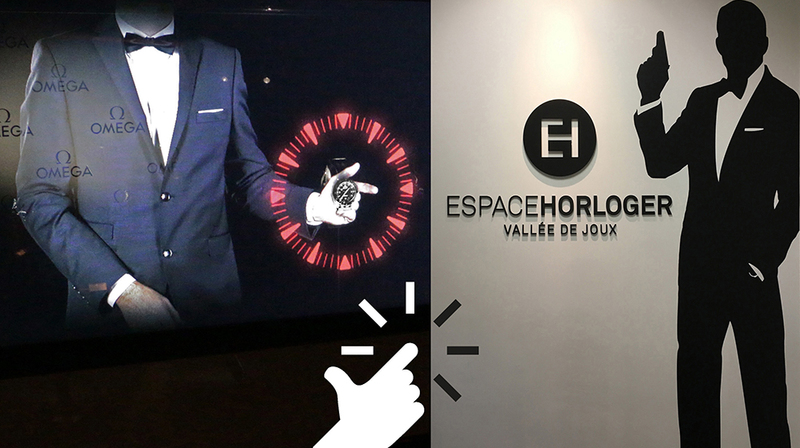 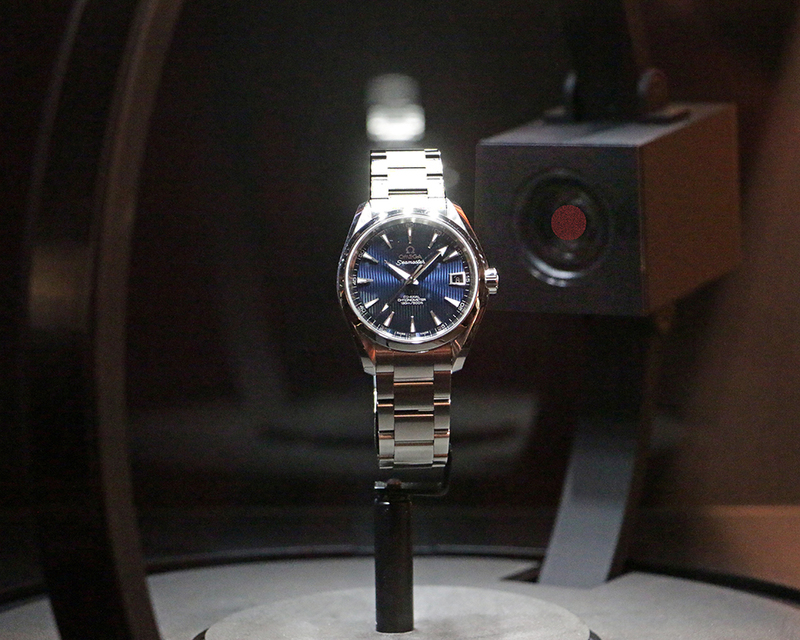 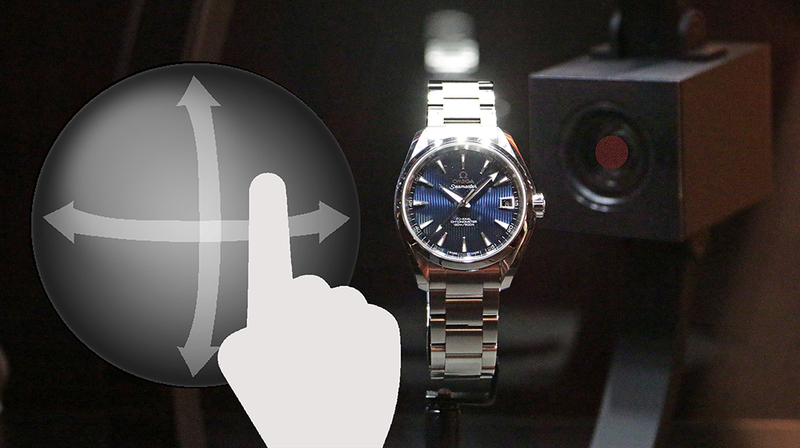 James Bond Time at Espace Horloger : Control the Explorer using the interactive screen. 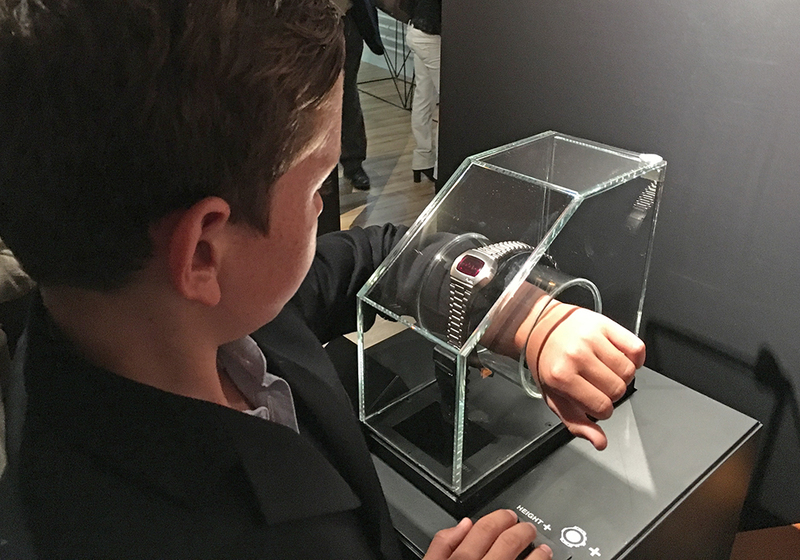 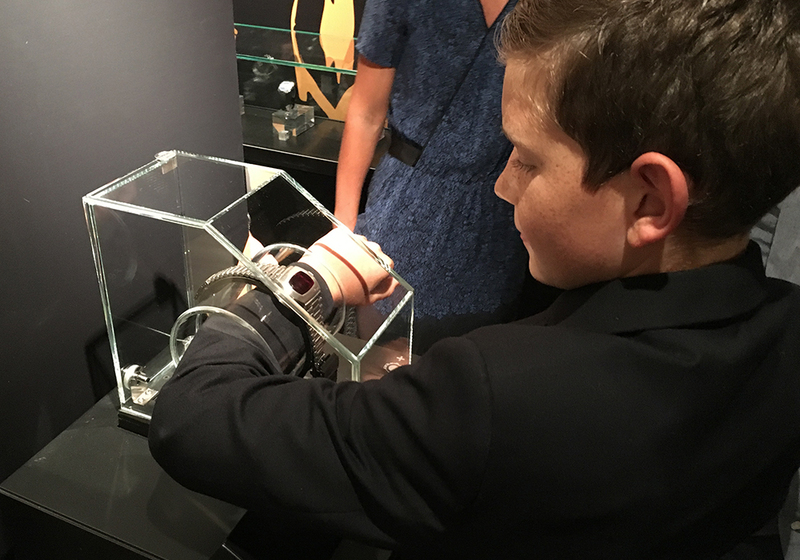 A touch screen enables you to explore James Bond’s watch and discover all the secrets thanks to a controllable spy camera. 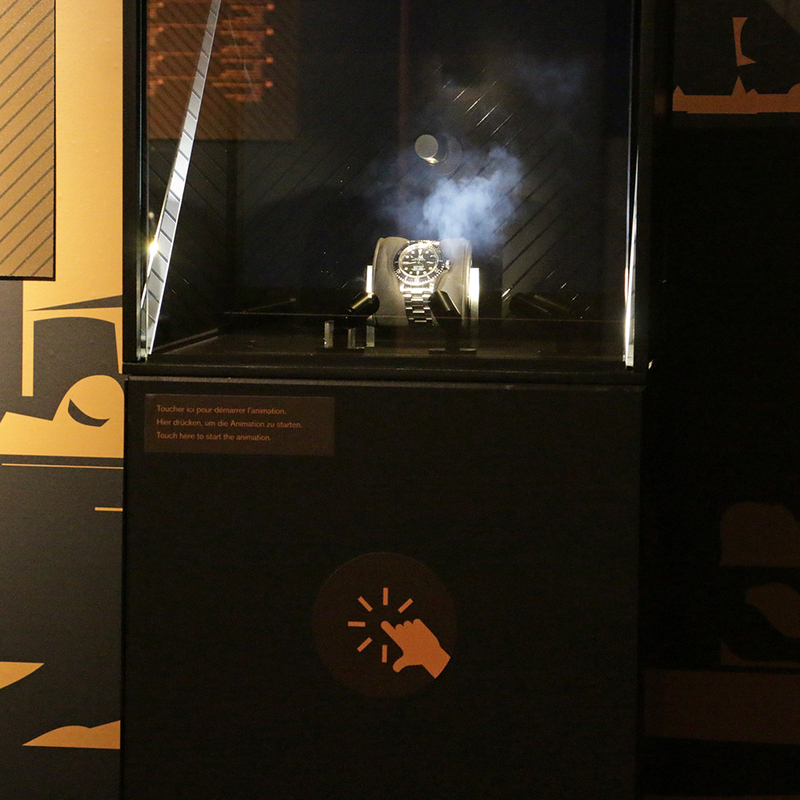 Watchtester at L'Espace Horloger de la Vallée de Joux. 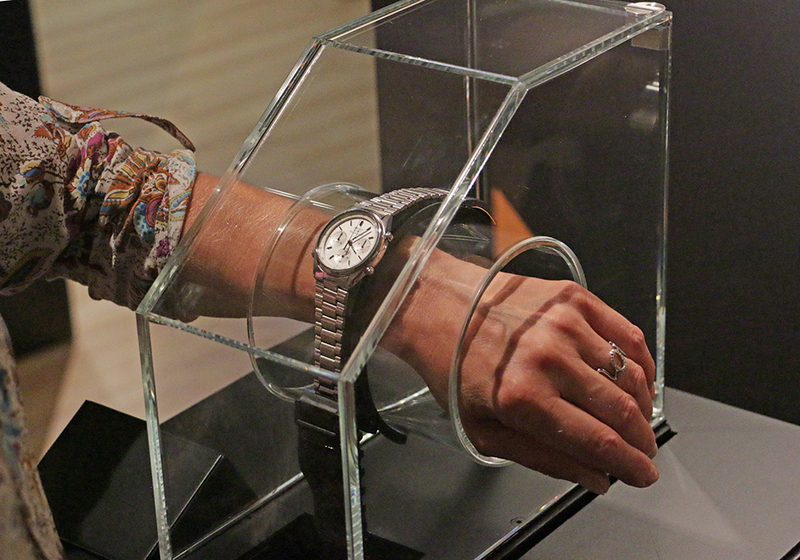 A display case which allows you to try on the watches worn by James Bond for real! 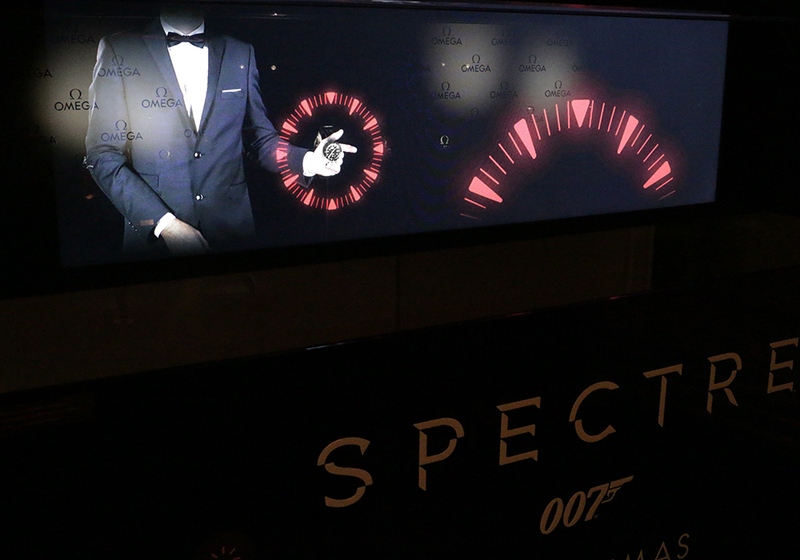 Slip your wrist into the display case and choose your model, just like James Bond! 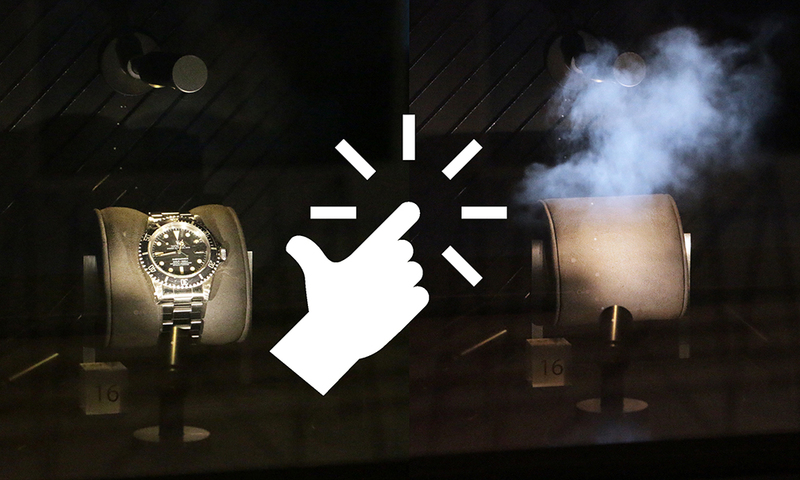 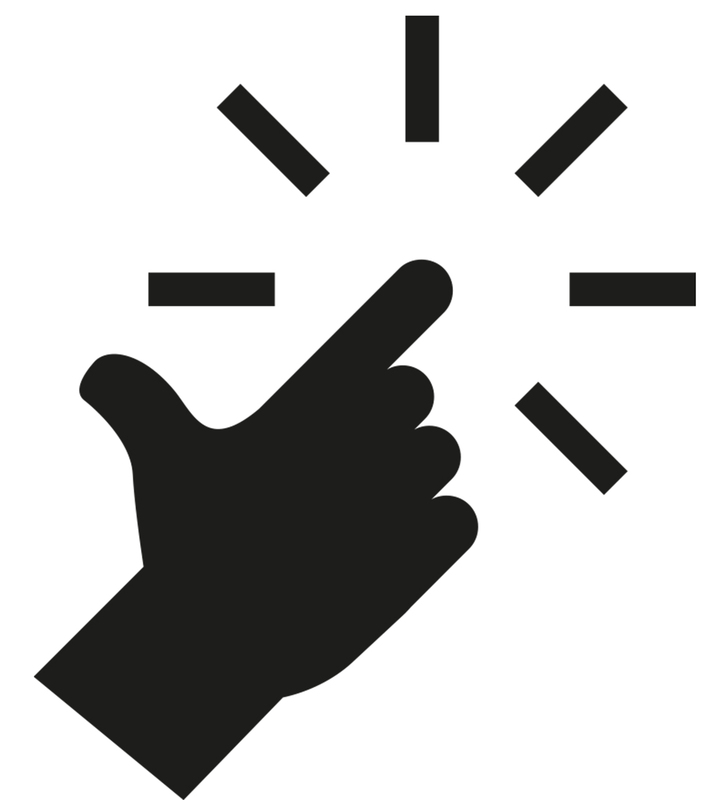 Do you dream of throwing James Bond’s watch before it explodes? 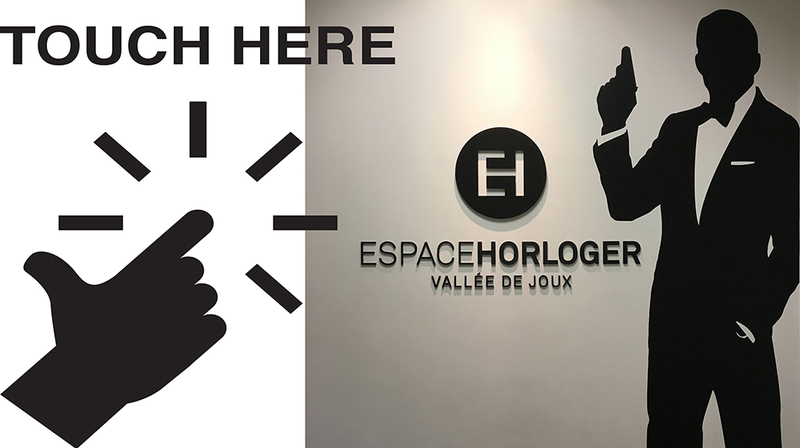 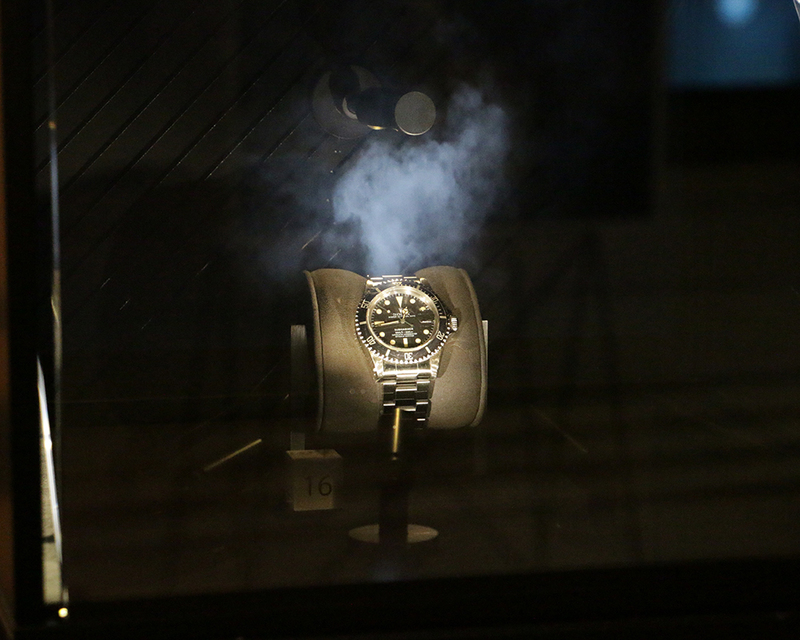 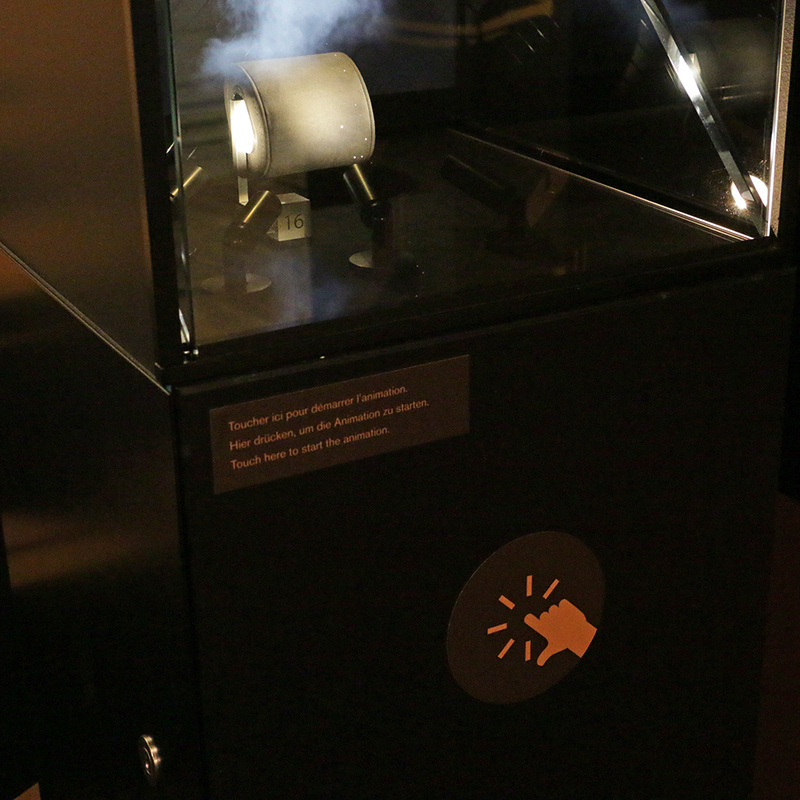 The espace horologer de la Vallée de Joux offers you that very experience: by brushing the base of the display case, you start the timer from the film Spectre and then it’s up to you!